Ampere bikes price starts at Rs. 28,900 for the cheapest bike V48 and goes up to Rs. 45,496 for the top model Ampere Reo. 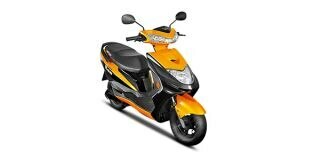 Ampere offers 2 new bike models in India. Reo (Rs. 37,000), V48 (Rs. 28,900) and are among the popular bikes from Ampere. 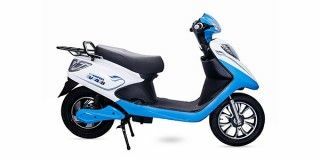 Select a Ampere bike to know the latest offers in your city,	prices, variants, specifications, pictures, mileage and reviews. Q. Is the engine waterproof? The motor on the Ampere Reo is meant to be functional in the rainy season as well. The motor is insulated so that the water does not enter inside. Q. Can I add extra 12v battery of 42ahm in series mode then how many hours need to charge? Q. What is difference between v48 STD and v48 LI? The major difference in both the variants is that Standard variant comes with Lead Acid Battery and Li variant comes with Lithium-Ion battery due to which the prices differ. Q. My Rio goes only 46 km/charge in city which is very less. Dealer told me that it will go up to 60 km but disappointed purchasing it, can you tell me why it delivers such less milege? No, it doesn't require a licence to ride this vehicle. However, we suggest you to always wear an ISI marked helmet for your safety. Q. What is the top speed and charging time? The maximum speed noted by the vehicle is of 25 kmph and the charging time is 4-5 hours.